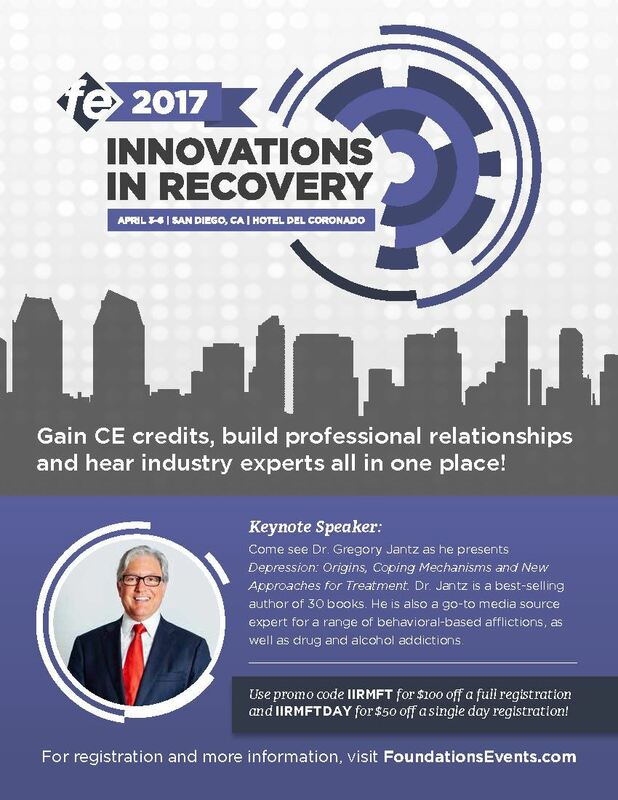 Innovations in Recovery is a conference focused on exploring new and emerging modalities and proven approaches to substance abuse and co-occurring treatment. We’ll also explore breakthroughs in complex mental health disorders and process addictions. Our primary goals are to equip treatment professionals and organizations to effectively meet the needs of specialized clients and demographics, and to inform them of the latest business trends and topics that impact the industry. This year the DISCOUNT for CAMFT members has been doubled! !